Share Bang On The Ear's EPK! Growing up the granddaughter of Duncan Malcolm MacCuaig of Laggan, it’s of course natural that the sounds of traditional Scottish Celtic music would have been a part of my childhood, and would still now recall some of my earliest and dearest sense memories. Indeed, my sister, Leigh, and I were MacCulloch dancer in the early 1970s. Eventually my musical path took a completely different direction when I discovered Elvis but that nostalgic sound of my early childhood will always have a special place in my heart. Although the term Celtic now implies the traditions of Scotland and Ireland, originally it encompassed the ancient people of Western Europe—the Celts—including those from Scotland, Ireland, Wales, Cornwall (England), Brittany (France), Galicia (Spain) and others. Fast forward 4,000 years. Because of the large population of North Americans of Scottish and Irish descent, and the commercial success of the music influenced by traditional music of those two countries, eventually the term came to define what we know as Celtic music today, although its presence is also felt in French-Canadian, Acadian, Cajun an bluegrass music. 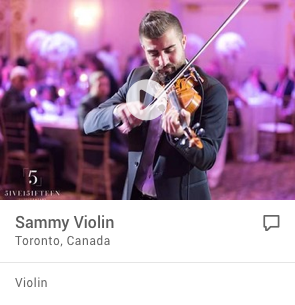 Even in the last 40 years, Celtic music has evolved from that which I knew as a child, with the infusion of modern music by the likes of Ashley MacIsaac, Loreena McKennitt and Great Big Sea. I wonder what the Druids would think. Although Maritime Canada does produce some spectacular Celtic acts, our area—home of the world renowned Maxville Highland Games, no less—is certainly rich in talent. Unless you’ve been living under a rock, you will have heard of the Glengarry Bhoys, Haggis, Kelli Trottier, Fridge Full of Empties and The Brigadoons. 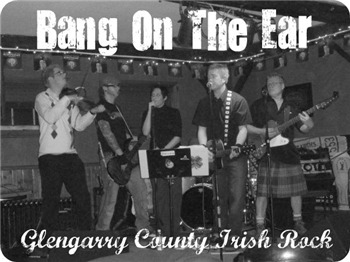 Another local band, who call themselves Bang On The Ear, is carrying on that ancient musical tradition of their ancestors with a new album. Not my grandfather’s Celtic music, but certainly a great sound and infectious party vibe. I recommend you check out their website. In celebration of their first full-length recording Green Grass and Gravel Roads, which will be released in May, the Celtic-rockers will be hosting a CD release show on June 6, at the Glengarry Sports Palace in Alexandria. “One hundred percent of the tickets sold will be going to CHEO (Children’s Hospital of Eastern Ontario),” says Bradley McMillan, singer/guitarist of the band. “Most of us have children, and we wanted to give back,” he added. For further information about the benefit email bradleymcmillan5@yahoo.ca. Born Out of the Foothills of Glengarry County, Ontario, a small rural Eastern Ontario community, rich in Scottish and Irish culture. 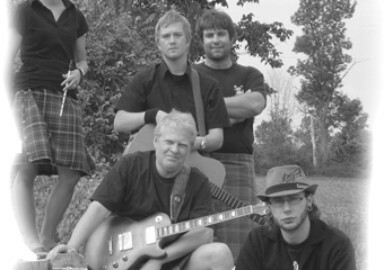 The Group Formed in Early 2007, featuring Bradley McMillan on rhythm guitar and vocals, Mike Sonnel on lead guitar, Michelle McMillan on tin, Jonathon Kluver on bass guitar, Geoff Noseworthy on percussion, and Darcy Furniss on fiddle and mandolin. Playing and performing Original music, as well as your traditional Irish, Scottish Pub songs. There original music focuses on the Celtic culture and that of living and growing up in Glengarry County. Songs like, Glengarry County, Green Grass and Gravel Roads, and Friday Night Drives, show the bands great diversity and song writing ability. Combining the sounds of traditional Irish/Scottish music, with a hint of rock and East Coast Folk, the band is slowly creating a new sound for Celtic music. In 2008 the band released a 5 song EP entitled, "The Dungeon Sessions; the E.P sold in excess of 500 copies in 1 month, and is currently sold out. In early 2008 they began recording there debut full length album, Green Grass and Gravel Roads, with producer John MacAulay which is due out in June of 2009. The band has been touring Ontario extensively over the last 2 years and quickly built a strong fan base. In recent past they have had the opportunity of being featured on Montreal, Quebecs CJAD, AM 1200, radio broadcast "The Irish Show", performed at the 2008 Pre-Glengarry Highland Games event at the King George Hotel in Maxville, Ontario, headlined the Canadian Police Solo pipe bag championships at Ottawa's city hall in 2008 & 2009, as well as Performing at the 2009 edition of Canadas largest Irish Festival in Miramichi, New Brunswick. The groups live performance is one that must not be missed, theyll have up and out of your chair in no time. Shine up your shoes, Fill up Your Pints, and get ready to move on the dance floor for these Patty Rockers.